BlackBerry’s Style 9670 folds the RIM’s legendary messaging abilities into a compact, stylish package that does what a phone needs to do, and then some. BlackBerry purists who rejected the Pearl on the basis of its mini keyboard will feel right at home on the Style… for the most part. While it hasn’t been shrunken, the Style keyboard feels slightly flatter than the more pronounced keys on the Bold 9700, and the keys have a tacky noise on lifting them that almost makes it sound like they’ve suffered a Diet Coke spill. We were still able to jam out e-mails on them like no tomorrow, but they just don’t have the luxurious, surgical clack some of BlackBerry’s finer models possess. RIM’s corporate background has always led it prioritize call quality, and despite its more casual target market, the Style is no exception. Voices came through loud and clear on both ends of the conversation through Sprint’s CDMA network in Portland, and the phone’s clamshell design took us down memory lane to a time we actually used phones that fit our heads instead of talking into bricks. Even with the QWERTY keyboard, dialing is as simple as punching in the numbers and pressing the green dial button – no on-screen gimmickry needed. A hard camera button on the right of the phone makes it quick to pull up the camera in a hurry, but most of the time you’ll be greeted with a blurry image of your own finger. The camera sensor lies precisely where your index finger naturally wraps under the phone to support it from beneath, requiring an awkward alternate grip for shooting. Since the camera faces off axis from the screen, you’ll also find yourself shooting toward the ground too much, or bending the phone up for a proper shot, but ducking to get a view of the screen. Who thought this one through? Actual photo quality fares much better. The camera’s autofocus did a good job ensuring sharp snaps, but colors were more muted than the same shots we took with an iPhone 4. Offering only VGA video was a bit of an embarrassment in 2010 when 720p became the status quo for smartphones, and in 2011 when 1080p is emerging, it’s more like a black eye. Despite the lack of resolution, video quality is decent thanks to dialed-down compression. RIM rates the BlackBerry Style for up to 4.5 hours of talk time, 10.5 hours of standby, and 14 hours of music playback from the 1150 hour battery. Anecdotally, we found that accurate, but not terribly impressive. Even the Bold offers six hours of talk time, and larger phones like the iPhone 4 offer seven, with up to 40 hours of music playback. Even taking into account a margin for error, the Style pays the price for its small size and correspondingly small battery. If you’re looking for a pocket computer that will do your taxes, play games that look like they belong on a PSP and surf the Web as easily as notebook computer, look elsewhere. Despite an extra layer of polish in BlackBerry OS 6, the Style is not ready to compete with the latest crop of iOs and Android superphones as a do-it-all overachiever. But with a unique clamshell design, full physical QWERTY keyboard and a $50 price tag on Sprint, it doesn’t have to. BlackBerry’s Style folds the company’s legendary messaging abilities into a compact, stylish (yes, we said it) package that does what a phone needs to do, and then some. 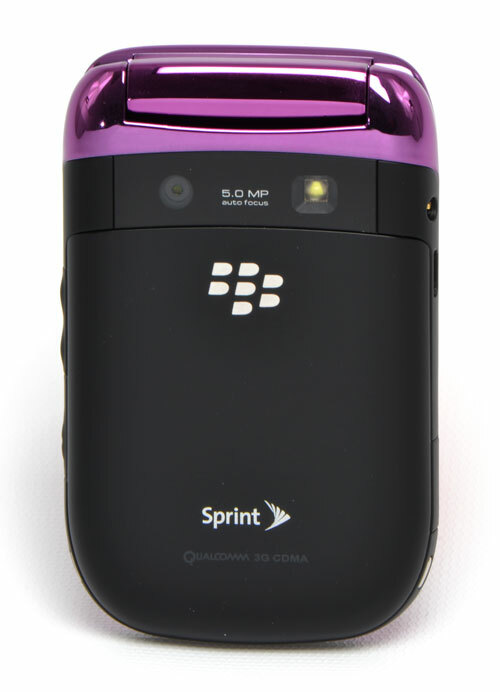 For a text-happy teen, style-conscious adult or just someone who wants a practical clamshell design in a smartphone, BlackBerry’s Style will hit the spot.